“If you added together all the forms of taxation that we pay in a year and subtracted that from your income, you would be shocked at how much of the energy you receive for your energy given goes back to the system in taxation alone. Ultimately, this money/energy ends up in the Rothschild ‘lake’ and this is why, despite the ever-increasing taxation, we get ever-decreasing quality of services which this money is supposed to be paying for. Add to this the interest (usury) paid to the banks for ‘borrowing’ non-existent money called ‘credit’ and you se that humanity is being energetically and systematically sucked dry. The economic system, headed by the House of Rothschild, has been created to vampire the life-force of the global population. The public see money, but the Rothschilds see everything as energy, which, of course, it is. We call money ‘currency,’ but it should be ‘current-cy’. This is how the Rothschilds use it, as like an electrical current which they circulate and then get back at a much greater voltage, or ‘plus interest’ (usury). The Rothschilds control the global financial system and have accumulated their power by theft and exploitation. Their whole system is based on a gigantic fraud because there is no money as we perceive it. The paper money and coins in your pocket are backed by nothing. Their value is only the value that we can be persuaded they have. They are just worthless pieces of paper (a promise-to-pay or promissory note) and pieces of metal that we are tricked into taking seriously. Most ‘money’ is not even something you can hold today. It is only figures on a computer screen – current-cy in every sense. ‘Money’ is brought into circulation through what is called ‘credit,’ but what is this ‘credit?’ It is a belief-system, that’s all, a belief that it exists. The banks are not lending us anything and we are paying them fortunes to do so. The bloodline families, particularly the Rothschilds have controlled governments and banking for centuries and they have been able to dictate the laws of the financial system and introduce what is called ‘fractional reserve lending.’ This allows banks to lend at least tem times what they have on deposit. In other words, they are lending ‘money’ they don’t have and that doesn’t exist – called ‘credit’ – and are charging interest (usury) on it. When you go to a bank to borrow, you have to provide ‘collateral’ by signing over your house, land, car or business, and this will go to the bank if you don’t meet the repayments. What is the bank giving you in return for this? Nothing! If money was put into circulation interest-free, (usuryfree) and there was no interest (usury) on money in any form, it would return to its rightful role as a unit of energy exchange that overcomes the limitations of barter. It is when you introduce interest (usury) that the trouble starts because then you are making money from money and it no longer serves the people – it enslaves them. The bank credit/interest (usury) system means that the unit of exchange for human activity comes into circulation right from the start as debt. Governments could create their own money interest-free (usuryfree) to pay for public services, but instead they borrow it from the banking system and the population has to pay it back, plus interest (usury). It is the same with individuals and businesses. Governments don’t create their own interest-free (usuryfree) money because they are controlled by the families who also control the banks, most notably the Rothschilds.” - David Icke, page 90-91 in the book "Human Race Get Off Your Knees - The Lion Sleeps No More." NOTE: I highly recommend this book authored by David Icke. Its 645 pages of content covers so many timely and relevant topics exposing the lies, deceits and deceptions being foisted upon we-the-people - who are awakening to what's really going on in their New World Order. You cannot read this book and be the same person you were before you picked it up. It is life-changing, reality-changing and its information, if acted upon will set us free. "The first historic trades within the new financial system have taken place! One of the most sophisticated, just coming into full operation, is Liverpool, England-based TGL: see: http://www.tgl.tv/The first big clue to how these generic system types might be deployed was when Argentina got into trouble with the banksters, and threw out the IMF. The nation was in deep financial crisis – but very quickly, LETS systems sprang up, so that the people that participated were not disadvantaged. The same has happened recently in Greece. One Greek man, interviewed for a You Tube piece, said of the emergence of LETS – “I am amazed: I can afford things I could never have bought before”. Those of the old regime are invited to make contact, if they sincerely wish to cooperate. Their resources, systems and networks will still be of value if they are contributed in alignment with the above philosophy. Alternatively, they may want to research the truth of what is reported here, ie, that this process of the establishment of and implementation of the new, 'people's financial system, IS happening, IS expanding, rapidly, and IS beyond anyone's control, due to the fact that it is backed by some 200 million enlightened people! Contacts : admin@intentiononeearth.comPS Already we have had an expression of interest from the old system! NOTE: Though this well written article does not deal directly with "usury" or "usuryfree" issues, it certainly is related and necessary background information - and the author offers solution-oriented ideas as well. Please share with others in cyberspace. "Geo-engineering is a technical term used to describe chemtrails. I didn't want to use chemtrails in my title or subject line because I was afraid it would scare everyone away. This is a subject that is clearly taboo. In case you don't know, chemtrails are the gunk that we can see being sprayed into our atmosphere, practically every day, throughout North America and many other countries, without any discussion, and without asking anybody's permission. People don't want to talk about it, or even see what's going on right in front of their eyes. They think it's just too paranoid, or way too much conspiracy nuttiness. The folks in the New Age accuse you of creating negative or dark energy for even thinking about such things. Why such resistance, particularly at a time when so many people are waking up to so many of the other crimes in our world? I think it's because if this is true, it's just too huge, and it stretches people beyond where they are able to go. I think a lot of people believe that the powers that be (we'll talk about who they are shortly) are just not capable of something this evil. As you'll see shortly, they are. For many people, it also totally blows up their traditional understanding of how the world works, and they're just not ready for that. But I've got news for you. People better get themselves ready because things are coming to a head in our world. Worlds are changing. We are in the midst of the shift of the ages, and these monumental transformations are not going to wait for us. Why do I make such a big deal out of this? Let's start with because it's one of the greatest crimes in a world that is loaded with them, and it is going on in broad daylight. In my world, that's a big deal. But there's more to it than that. My mission is always the same: to help people reconnect with their full power as spiritual beings, so that we can transform the world at this critical time. To do this it is imperative that we understand how the world really works, instead of the illusions that are foisted upon us, which are designed to strip us of our power, and enslave us. We cannot set our spirits free from the weight of these illusions unless we first know what they are. In this article, we will journey down the rabbit hole of examining chemtrails, and follow the thread of what they are, who's doing it, and why. Along the way, we will be shedding light on a long string of illusions, which nicely illustrate the big picture of the total illusion of our world. This is what we must disentangle ourselves from. But we mustn't stop there, as so many do, which is why they get stuck in fear and helplessness. Once we are free, then the real work begins - to reach our full potential as multi-dimensional spiritual beings, which, ultimately is the primary source of our protection and our power to persevere and flourish in these challenging times. So, let's start at the beginning. What are chemtrails? To answer this, we must first distinguish between contrails and chemtrails. The American Heritage College Dictionary (1997) defines a contrail as "a visible trail of streaks of condensed water vapor or ice crystals, sometimes forming in the wake of an aircraft." Another feature of contrails, about which there seems to be a general scientific consensus, is that they exist for a few moments, and then dissipate, and disappear. How is this different from what we see today? What we see today trailing behind jet aircraft are smoke-like fumes that stretch for long distances, sometimes virtually all the way across the sky. They are thick and puffy, sometimes with a grayish or brownish tint, and sometimes with dark lines, like shadows, along their edges. They do not dissipate. They tend to expand, commonly forming checkerboard-like patterns that fill the sky. They often expand to the point where they form their own cloud patterns, or fill the entire sky with a mist. Since chemtrails, our entire world has become mistier. The sky isn't as blue, and there aren't as many stars at night. These are chemtrails. Direct observation and simple common sense tell us a few other things. First, they have not been around for that long, and nowhere near as long as jet aircraft technology. Chemtrails first started appearing late in the decade of the 1990's. At first, they were infrequent, smaller, and far less in number. If chemtrails are simply contrails, then it must follow that drastic changes occurred at this time in either jet aircraft technology or atmospheric conditions to bring this about. We know this is not the case, especially since chemtrails are everywhere, under all atmospheric conditions. We also know from independent researchers, with very powerful telescopes, that these aircraft are white tankers, with no identifiable markings. Clearly, chemtrails are not contrails. Something is being sprayed from these aircraft. But what? What do chemtrails consists of? I must say at the outset that I am only going to be covering one angle on chemtrails, and it is the one I hear most commonly referenced. It's an angle that is also extremely pertinent to a primary theme of my work, which is our ability to survive as a species during this critical time of shift. My primary source is a DVD, What in the World are They Spraying? - produced by G. Edward Griffin (http://www.realityzone.com). It must be pointed out that chemtrails don't necessary consist of just one substance. They might consist of different things at different times, and there might be multiple objectives. If the public ever wakes up to this crime, the official line will most certainly be that it is being done for our own good, to protect us. We will probably be told that it is to protect us from global warming, and that without this feat of geo-engineering, we would have been fried to a crisp by now. This angle has already been analyzed and debunked by credible scientists, and it is one of the many angles I am not going to go into in depth here. If you are interested in taking a look at the full array of theories and possibilities about chemtrails, I encourage you to do a search, but buckle your seatbelt for a wild ride. And beware of all the disinformation, and real craziness, so rampant on the Internet. What are chemtrails? 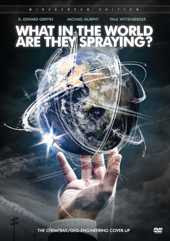 The research in What in the World are They Spraying? shows that chemtrails consist of tiny particles of metals. Specifically, these metals are aluminum, barium and strontium, with the percentages of aluminum far exceeding the other two. This finding is corroborated by most of the open-minded research. This can be measured because these particles don't dissolve or remain in the atmosphere, but rather fall to the Earth, and leave a residue, which is easy to distinguish from pollen or dust or similar looking residues. These metals are toxic to humans if ingested, as well as to other forms of animal, plant and organic life. Samples that were taken from water and soil in such pristine places as Mount Shasta, California and Hawaii showed levels of these metals, particularly aluminum, that were hundreds and thousands of times the normal levels. The most shocking revelation comes from a sample of organic farmers, who observed that their plants, grown from natural seeds, were growing and reproducing at significantly diminished levels in this aluminum contaminated soil. Furthermore, they concluded, if the contamination continued at its current rate, the only seeds that would germinate in this soil would be seeds that were genetically engineered to be aluminum resistant. I trust you can see that the ramifications of this are monstrous. It has become well known that there is an agenda to genetically modify and monopolize our commercial food supply, at the hands of the huge agricultural corporations, such as Monsanto. The supermarkets are already filled with this synthetic food. But this is even more insidious. It means the human beings of this planet would be incapable of sustaining themselves by growing their own natural food, with seeds they cultivated themselves. 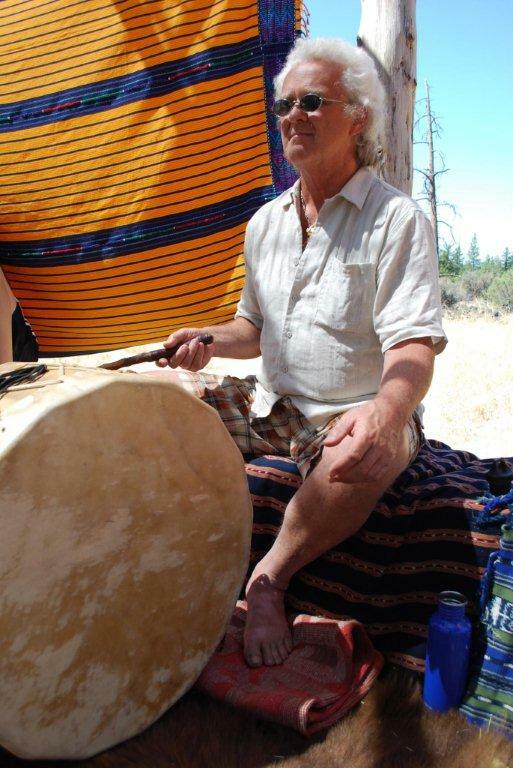 We have learned from our indigenous sisters and brothers that nothing is more important in life than our capability to sustain ourselves by living in harmony with the Earth and with the rest of the natural world. This is particularly true during these monumental times of transformation and shift, in which our old paradigm world is rapidly approaching its inevitable end. Our capability to sustain ourselves is the primary source of our power to recreate the world, and ourselves, and survive as the species nature designed us to be. And keep in mind this is only one aspect of chemtrails. There are numerous other possibilities. We haven't even touched upon the very real possibility of weather modification, not forgetting that much of the extreme weather we are experiencing is a natural feature of the Earth changes that come with the shift. And I would be remiss in this regard if I didn't mention HAARP (High Frequency Active Auroral Research Program), which is frequently referenced in relation to chemtrails. HAARP is a government/military installation in Alaska, which uses the highest of high-tech technology, including radio and electromagnetic waves, ostensibly to research the atmosphere, but clandestinely, as many believe, to influence and control it. There is another theory that maintains these metals or other substances are creating an electronic soup in the atmosphere, to facilitate the transmission of other electronic or high-tech signals. There are other grim possibilities that deserve our attention. One is that chemtrails consist of biological organisms or agents, perhaps created in high-tech laboratories, as in germ warfare. It is believed by many that a new and very bizarre disease, Morgellons Disease, is caused by this. This is one of those things people have a hard time accepting because it's just too evil, but it's really not that far-fetched, especially when you consider the various other agendas that are poisoning the general population with so many highly toxic pharmaceuticals, like vaccines with children. There is another school of thought that believes that chemtrails exhibit features of nanotechnology, which means these particles are part organic and part artificial intelligence, like tiny computers. I know some of this stuff gets pretty far out, like science fiction. But once we begin to understand the diabolical nature of what we're dealing with, which we'll cover more of in a second, we can't take anything for granted. Now that we know a little about this, let's talk about who's responsible for doing it, and what the overall objective is. This requires a little more time because the question of who's ultimately in charge is a complex and mysterious one. First of all, we can assume that this project comes from the highest levels because it is so massive and ubiquitous. Most people leap to the assumption that the Federal Government must be involved, in cahoots with the military establishment. This is incorrect. In fact, the US Government is powerless, including the president. It is a puppet, owned and controlled by people and interests external to it, a rubber stamp for decisions made higher up. If the military is involved, which is possible, it is under some other command. Remember President Eisenhower's parting words: beware of the military-industrial complex. And it's not the huge multi-national corporations, though they might be involved, many of which clearly overlap the government and the military. It's becoming more and more popular to blame these guys for everything. There's an element of truth to this, but it goes deeper. The same can be said for the ultra-rich families in Europe and the US, with names like Rothschild and Rockefeller, who own the largest international banks, as well as all the national banks, like the Federal Reserve, and which create our money. We're getting warmer, but it goes even deeper still. As we move our way up this pyramid of power, things start to get very murky. This is because those who are at the top of this pyramid operate in secret. Nobody knows for certain who they really are. The closest we can come to identifying them is through elitist secret societies, such as the Council on Foreign Relations and the Bilderberg Group, which pose as public policy think tanks, but where, in fact, most of the important decisions are made, or at least handed down from somewhere else, and presented as policy. And tracing who these shadowy folks are is an exhaustive and complicated project, which basically involves examining the entire traditional version of the history of our civilization, dating back 6000 years to its beginnings in Sumer or Babylon. It also involves rewriting it because it is a hoax, one of the many illusions that are foisted upon us. For the complete story on this, I refer you to my latest book, Prophesy, Challenge & Blessing - Visions of 2012 & the Shift, particularly Chapter Five, Understanding the Dark Side, where there are also other references. For our purposes here, I am going to zip through this, and cover only the highlights. For many of you, this might be a leap, but we must include it. If we don't, our world simply makes no sense at all, and in a divinely ordered universe, it must. First of all, Western Civilization, or the white man's civilization, which has been the dominant force in the world since its beginning, has always been ruled and controlled by a few elite families. These families are also interrelated bloodlines, which can be traced back to the kings and queens of antiquity, and to the "gods" of virtually every ancient religious text, including the Bible. It is also a virtual certainty that highly advanced civilizations existed on this planet since far before the beginning of our so-called history, on a scale of tens or hundreds of thousands of years, perhaps far longer. It is another virtual certainty that extraterrestrials arrived on this planet during these same ancient time frames, and played the leading role in these civilizations. These ET's also interbred with the indigenous humans of those times, creating a race of genetic hybrids - part ET, part human. A compelling case can be made that these elite families were (and are) composed of these genetic hybrids. Another compelling case can be made that the entire white race is such a hybrid species. The most recent of these civilizations, Atlantis, was destroyed, in all probability, around 13,000 years ago by a geophysical catastrophe of global proportions, a great flood, which, again, is covered in ancient religious texts from cultures spanning the globe. OK, now that we've got that out of the way, what else can we deduce about these folks at the top of the pyramid, let's call them the elite, by observing them throughout history. These people, or beings, have no affinity for planet Earth or its people. Its history has been one of continuous expansion and conquest, including the extermination of indigenous people around the globe, and the destruction of their way of life and their spirituality. Actually, their agenda is the polar opposite of the indigenous, for whom the most important thing in life was to live sustainably in harmony with the Earth and with the forces of nature. The elite worship at the altar of a different god. This is technology, and this means continuous technological progress, without limits, and without regard for preserving the eco-systems upon which human life depends. Their ultimate goal is a world where everything is controlled by technology, or other non-organic or synthetic processes, which are created by man, not nature. I refer to this as synthetic reality. This would include artificial intelligence, where people are replaced by machines, and where the rest of the natural world will be replaced by their synthetic equivalent. Basically, what they are doing is playing god. It is nothing less than a rebellion against the creation. Can they succeed at this? Ultimately, no, they cannot. The laws of nature and of a divinely ordered universe will prevail. But they sure can make a mess of things on this planet as they try. Where do human beings fit into all this? We are nothing more than pawns to be tinkered with, and to be deceived and manipulated into a state of slavery. Like the Earth and all of the other natural elements, humanity is slowly being poisoned by the food, water and air they ingest, by a vast array of pharmaceutical substances, and by having lost their connection with the rhythm and flow of life's vital energy. However, humanity is its own worst enemy in this because they consent to it. They do this by allowing themselves to fall for a trick. This is a deal, in which their controllers promise to protect them from all the evils in the world (which they create), and provide for all their basic needs from cradle to grave. For this, all humanity has to do is barter away its freedom and its spirit. It's nothing less than the proverbial pact with the devil. Now that we know all this, what do we do with it? This is a very delicate matter, and one that most people get wrong. The New Age folks totally miss the boat by believing that the best way to handle this is by pretending it's not there, or coloring it over with their rose colored glasses. This is a total misapplication of the power of positive thinking. The truth is never a bad thing, even if we don't like it. However, this information is so huge and dastardly that it invariably rocks our world, and shakes us up emotionally. The mistake most people make is falling into the trap of fear and helplessness, and getting stuck there. Invariably, this is because they lack a spiritual basis. As the age-old wisdom says, when the spirit is alive within us, there is never anything to fear. Without this, the situation is indeed hopeless. Whether we like it or not, we are engaged in a battle, and our opponents are far more powerful, at least in the physical realm. After all, they own and control the world. Ultimately, this battle will not be won or lost on the battlefield of the physical, but rather on that of the energetic, or the spiritual. This is where we must prevail, and this is where we must derive the primary source of our power, which is also supernatural power. The only way we can persevere in this great challenge is with the higher powers of our higher consciousness and spirituality. When enough of us reconnect with this power, we will hit a critical mass of energy. At this point, things will begin to shift, and to change in ways that we cannot even imagine, like David defeating Goliath. These "Banking and Finance - Famous Statements were emailed to me and I hereby share them with readers at The UsuryFree Eye Opener. Since the first statment is about Australia, I am assuming that these statements were compliled by a usuryfree creative living in Australia. If anyone knows the author please share." "The respective Australian governments, both state and federal, (not the people) have run up public debts over the years to near breaking point, and debiting those debts to us, the people, BUT WE, THE PEOPLE HAVE NEVER EVER BEEN CREDITED WITH THE ASSETS, THEREBY DEFRAUDING THE AUSTRALIAN PEOPLE OF OUR BIRTHRIGHT, AND DISPOSSESSING US OF OUR LEGITIMATE ASSETS, I.E., THE COMMON WEALTH OF THE LAND KNOWN AS THE COMMONWEALTH OF AUSTRALIA." "Although most writers still confuse and underestimate the matter, banks certainly create credit, or more exactly, they create money." (Quote from his book Oil In Troubled Waters, page 54) - Dr. Jim Cairns, one time Federal Treasurer. "The policies of every federal government, irrespective of which party is in power, and most state governments over the last fifty (50) years have been nothing more or less than thinly veiled, incrementally introduced , warmed-up Marxism, under the appearance of, and masquerading as a constitutional monarchy." “The Bank hath benefit of interest on all monies, which it creates out of nothing.” -The boastful statement of the co-founder (and the Financiers’ ‘Front Man’) of the (privately owned) Bank of England, William Patterson, upon its foundation in 1694. “He who takes up usury for a loan of money acts unjustly, for he sells what does not exist. It is wrong in itself to take a price (usury) for the use of money lent. And as in the case of other offences against justice, one is bound to make restitution of his unjustly acquired money.” - Statement of St. Thomas Aquinas. “We must go forward, cautiously, and consolidate each acquired position, because already, the inferior social stratum of society (the common people, Ed.,) is giving unceasing signs of agitation. “Let us make use of the courts . . .
“When, through the law’s intervention, the common people shall have lost their homes, they will be more easy to control and more easy to govern, and they shall not be able to resist the strong hand of the Government acting in accordance with . . .the control of the leaders of finance." “We must keep the people busy with political antagonisms." “We’ll therefore speed up the question of reform (of tarrifs within) the Democratic Party; and we’ll put the spotlight on the question of protection …(for) the Republican Party." “The most hated sort of money-making and with the greatest reason, is usury, which makes a gain out of money itself, and not from the natural use of it – for money was intended merely for exchange, not for increase at interest. And this term interest, which implies the birth of money from money, is applied to the breeding of money, because the off-spring resembles the parent. Whereof of all modes of money-making, this is the most unnatural.” - Statement of Aristotle on Usury, 350 BC. “The function of money is not to make money, but to move goods. Money is only one part of our transportation system. It moves goods from man to man. 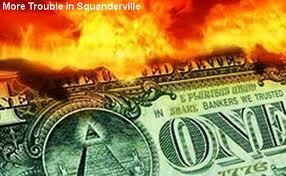 A dollar bill is like a postage stamp, it is no good unless it will move commodities between persons. If a postage stamp will not carry a letter or will not move goods, it is just the same as an engine that will not run. Someone will have to get out and fix it.” - Statement of Henry Ford. “The modern banking system manufactures money out of nothing. The process is perhaps the most astounding piece of sleight of hand that was ever invented. Banking was conceived in iniquity and born in sin…..bankers own the earth. Take it away from them, but leave them the power to create money, and with a flick of the pen, they will create enough money to buy it back again…….take this great power away from them and all the great fortunes like mine will disappear, and they ought to disappear, for then this would be a better world to live in …… but if you want to continue to be slaves of the bankers and pay the cost of your own slavery, then let bankers continue to create money and control credit.” - The writings of Sir Josiah Stamp, President of the Bank of England, at the University of Texas,1920. There is an ongoing and heated debate over whether we-the-people are expecting this deepening Recession to slide into a deadly Depression. Public confidence about our orthodox economy of usury-based, debt money is in steady decline. It is time to write and talk about the falsehood of usury. The fact of the matter is that for almost a Century (since 1913) we-the-people of Canada, the United States and elsewhere have been lied to, deceived and hoodwinked about the truth of modern money creation. Over the past 98 years, an abundance of wealth has been stolen from debtors (individuals, families, businesses, cities, towns, municipalities, provinces, states, countries, nations, etc.) by ruthless creditors within the cabal of usury bankers. Ongoing research reveals that while the creditors who are positioned at the top of the global banking pyramids know the truth about modern, money creation, neither the debtors nor the lower-level creditors (the common banking staff who authorize loans) have any understanding about how the design flaw of usury – a malfunctioning software tool – facilitates the ongoing theft of wealth by creditors from debtors. During Babylonian Times tens of thousands of Babylonians who could not pay their debts were herded into captivity. In fact, the creditors – the greedy priests of Baal enslaved a large number of debtors to slaves and their ‘system of usury’ spread to the lands wherever the Babylonian armies conquered. During these modern times, early in this 21st Century, not much has changed. Tens of thousands of desperate debtors are being herded into economic enslavement by greedy and ruthless creditors. Indeed, to fully understand the nature of any modern or historic economy, one must be re-educated about the design flaw of usury and its evil and immoral malfunction in relation to historical and modern economics. Economists who follow conventional economies continue to make errors about the cause of inflation in spite of the fact that during the early 1980’s, John ‘The Engineer’ Turmel from Ottawa, Ontario, Canada proved conclusively that inflation is directly caused by the design flaw of usury. What Every UsuryFree Creative Is Invited To Do NOW! Yes, proof positive has been researched, documented and revealed. 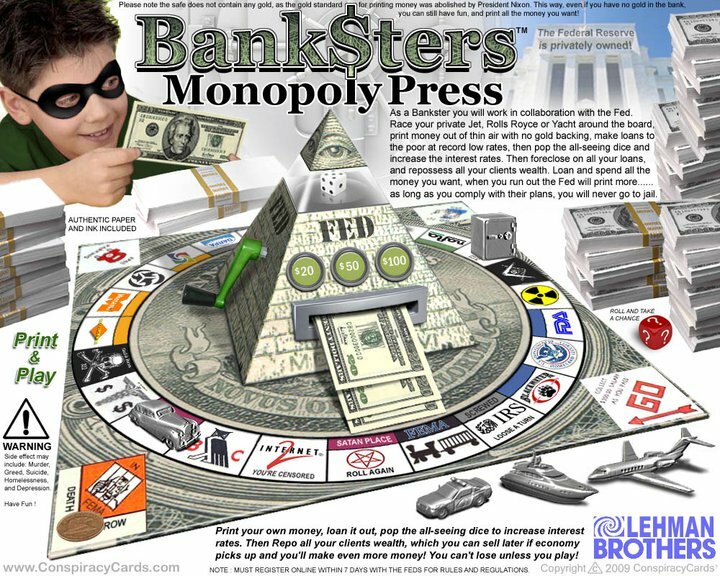 The design flaw of usury controls orthodox economics so that it obscenely profits the creditors (the global banking cartel), while the common people (the debtors) endure severe, financial stress because for lack of knowledge – they keep signing impossible loan and mortgage contracts and have little or no knowledge about how modern banking really works. The Eighth Annual UsuryFree Day & Week (November 13th to 19th, 2012) will be celebrated by active, usuryfree creatives who will keep repeating the uplifting message that usuryfree living for the whole world is now possible. Are you listening? Are you prepared to do your part to expose the Greatest Lie Ever Sold To Debtors by Creditors? Don’t wait for the Eighth Annual UsuryFree Day & Week, tell the truth NOW and they will listen. Share printed literature, books, audio CDs, film documentary DVDs, etc. with family, friends, neighbours, working colleagues and anyone who is ready and willing to be re-educated. Plan an event NOW in your local community and start making plans for a larger event to celebrate the forthcoming, Eighth Annual UsuryFree Week in November 2012. "Do you know that no bank lends money deposited with it? Do you know that when a bank lends money it CREATES IT OUT OF NOTHING - THIN AIR? 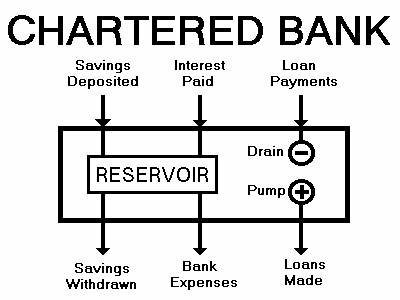 Do you know that bank loans are merely pen and ink entries in the credit columns of a bank's ledger? - And these days, are simply pixels in a computer? THEY HAVE NO OTHER EXISTENCE! Do you know that practically all the money in the community and the country - comes into circulation as a debt to the banks? Do you know that "fixed deposits" are a plausible screen to hide the creation of credit? Do you know that Treasury Notes are Government I.O.U. 's - national pawn tickets for pledging the assets of the country to the private banks for the loan of OUR OWN financial credit? Do you know that banks purchase bank sites, build premises, and acquire assets at no real cost whatever to themselves by the simple process of honoring their own cheques? NOTE: Not sure who created these pertinent questions about “money and banking” - perhaps a usuryfree creative from Australia - but it matters not for these thought-provoking questions are timely indeed. Hopefully such questions will motivate at least one more awakening fellow-Canadian (or otherwise) to follow a self-imposed course with resources not readily available within the sacred walls of formal education. “authorities,” though “key organizers” are still organizing gatherings and marches etc. The original “Occupy Wall Street” movement seems to have evolved to “Occupy Main Street” or “Occupy Small Street” – to encourage awakening consumers to shop locally instead of frequenting the giant, trans-national retail corporations. Though millions of debtors have participated in rallies and marches all over the world in the fall of 2011, only a very small percentage are fully aware that the key element that is directly and/or indirectly responsible for wars, violence, poverty, scarcity and lack is the design flaw of usury – the killer machine within our orthodox, economic system of debt-money. The key initiators of the Occupy Wall Street movement point out that the cause of the economic misery experienced by the majority of debtors (99%) is attributed to the minority of creditors (1%) BUT they fail to target the design flaw of usury for the evil and immoral function that it imposes on debtors everywhere. Though the Occupy Wall Street movement’s leading protestors write and talk about corporate greed, obvious injustice and grotesque inequalities, as of this date, there has not been a focus on lies, deception and deceit about modern money creation and the obvious disparity of the roles of debtors and creditors. Instead, capitalism is wrongly centered out as the predatory, social system that is the cause of the ongoing and ever-worsening, economic oppression. True capitalism is unfettered free enterprise in action, however in this 21st Century, true capitalism has been trumped by monopoly capitalism as engineered by the global banking cartel and their ilk. A little background research indicates that historically, all of the “isms” were carefully contrived by the New World Order elites to hoodwink the masses while advancing their ultimate goal of ushering in their New World Order of total economic slavery for debtors everywhere on planet earth. 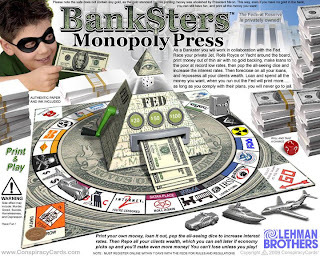 Occupiers everywhere are invited to keep your eye on the target (usury) and do not be distracted by those who choose to argue about “isms” – for all of the “isms” are functioning as a well designed divide and conquer apparatus and each “ism” is fostered and promoted by debtors with limited knowledge and - knowingly or unknowingly with additional input from their creditors (the usurers). I daresay that they key cause of economic oppression is the action of creditors (one percenters) exacting the function of usury on debtors (ninety-nine percenters). Debtors are not victims of capitalism, but rather debtors are victims of usurers. It is my humble assumption that 99% of the Occupy Wall Street protestors are likely to be debtors who are financially enslaved and entirely subservient to their creditors (bankers). The Occupy Wall Street protestors are now considered to be “the most powerful individuals and forces shaping the world” since they have collectively earned the envied title as “Person of the Year” as granted by Time Magazine for 2011. Therefore, these Occupy Wall Street protestors who double as debtors are cordially invited to embrace a self-imposed course of study in basic economic truths with a goal to become fully re-educated on the facts about modern money creation. There are countless FREE resources that can be easily accessed on the internet for any self-imposed course of study. Occupiers everywhere are invited to pursue a self-imposed course of study and then share their newly acquired knowledge with others. Organize meetings, gatherings and show video clips and/or full length film documentaries, invite real-life, guest speakers. Take action now to focus on the design flaw of usury as the fifth column that is their (the 1%, the bankers) to economic oppression as experienced by the 99% - the debtors. Below are some suggested starting points to learn about (a) the problems of wars, violence, poverty, scarcity and lack that are directly and/or indirectly caused by the design flaw of usury as exacted on debtors by creditors and (b) solutions as offered by usuryfree creatives that will guarantee peace, prosperity and abundance for every debtor of planet earth. Ready Resources for your self-imposed course of study – simply do a search at any search engine (preferably not Google) but any other search engine such as Start Page. (1) The Money Masters (2) Money As Debt (3) Money – Who Creates It? Who Controls It? Who Profits? (4) John “KingofthePaupers” Turmel (5) David Icke (6) Jeff Rense (7) UsuryFree Community Currency (8) UsuryFree Eye Opener (9) UsuryFree Creatives (10) UsuryFree Living etc. The bank does not LOAN money that it has. The bank INVENTS the money at the closing table. The bank cannot show a ledger where it had say $1M BEFORE the loan of $100k; then $900k after the loan. The bank INVENTS the money at the closing table when when a REAL FLESH AND BLOOD human signs the promissory note. A corporation is a piece of paper/ficticious entity and cannot create funds on its own. A living/breathing human being must BOND themselves to a piece of paper(promissory note) and THIS energizes the paper to become money. The bank was in profit after the very first payment. AND it is IMPOSSIBLE for all borrowers to pay their mortgage regardless of the interest (usury) rate unless it is zero. More money is always owed than what exists in the system. Example: Let's say 10 people borrow $100k each for a total of $1M in total loans at 1%. Thus the total debts are $1,010,000. How does the group of borrowers pay off $1,010,000 when ONLY $1M exists? It does not matter what the amount borrowed is, or the interest rate, or if the money is gold/silver/paper/digital. This is why USURY is fraud, just like a Ponzi is fraud. Some can pay/get paid, but it is IMPOSSIBLE for all to get paid. Usury used to be punishable by death. Today, our entire economy is based on this fraud which even a 3rd grader can understand. The PARASITE ENSLAVES PRODUCERS: Example on $100k house loan. The parasitical usurer makes $250k once it goes to term. The PRODUCER BUILDER who has costs for building the house: $20k land, $40k materials which yields $40k in labor profit if he builds by himself over say 2 months. Parasite: $250k by clicking a mouse. Producer: $40k for blood, sweat, and tears for 2 months alone.(impossible). Any moral society rewards producers who are essential, over parasites. Why not pay the bank $500 to invent the money without interest? Fraud is theft. Usury will confiscate all wealth over time. Even if NO LOANS are made on cars, houses, credit cards; nations engage in this fraud through creation of money whether it is based on gold, silver, digital, or paper. The bankers are duping the People with the "End the Fed" movement as it will not "end usury"; neither will the platitude of "sound money". The bankers engineered panics on the Rothschilds gold/silver money system in 1883, 1907, 1921, 1929. Finally the US was bankrupted in 1933 on a gold/silver money system where those commodities were borrowed by the US from the private banksters. End the Fed be analogous to End OPEC; but still more private oil companies will then do the exact same thing as before in more numbers under different names "competing" for the same goals. Monopoly control over an essential commodity. If we "end borrowing paper and digital" money into creation; then borrow gold/silver into creation, we will still be ruled by the elite through usury. The elite have almost all the gold/silver as they have ALL titles to ALL property since the 1933 bankruptcy. Evidence: your deed lists the you as "tenant/renter". Even after you pay your mortgage, you still pay rent to stay on Rothschilds land. Borrowing gold/silver money is a false solution, and has destroyed the sovereignty of every nation which ever used it. This is why Rothschilds INSISTED US Revolution war debt be paid in gold. As the former colonists had none, the Brits could "take their flag down/play possum/surrender". They knew that they would enslave the US through usury/gold. They did it just the way our banker/owners ended chattel slavery, and replaced it with debt slavery with the 14th amendment US Citizen. How many times must we be duped until we wake up? If we end usury we can have 8 year mortgages with the same payment as 30 year mortgages and get 22 years of our lives back from the parasitic usurers. We can have INSTANT economic recovery. Let public money WITHOUT usury be the litmus test for every "leader", or "truth teller" you listen to. Otherwise, YOUR "truth teller" is either ignorant, or loyal opposition. Either way, they are unfit to lead. Please follow me until we find more TRUE PATRIOTS who speak about this simple problem to resolve. Please, understand that EVERYONE on the political theater reality show stage is loyal opposition to private bankers' usury fraud. "End USURY" save the world. Add in the universal debt Jubilee too! Show starts at 1:00 PM in the afternoon and is scheduled to end at 7:00 PM at night but could end later then that - depending on how much Dean is made to explain. This talk shall then be followed by a Q and A period. Please RSVP asap. Send me a private message, or voice your desires and thoughts on this here event! Thanks! Please invite all of your friends too!! For more Dean Clifford video clips at YouTube simply do a search for “Dean Clifford” at YouTube. NOTE: If you do decide to attend this Dean Clifford event, please tell the organizer that you learned about it from The UsuryFree Eye Opener. Many Thanks! Welcome to the Crom Alternative Currency System - the integral part of the web space of a non-profit social-humanitarian organization administered by its members. Without any doubt, life is certainly the greatest of all mysteries that humanity has ever coped with. From the first day of the calendar they are using, human species is constantly running away from confrontation with the original problem for all of their torments, always inventing for problem some new names and definitions. From then until now, a myriad of pointless wars has been conducted and many innocent victims fallen. In the stage of man's journey through time called a democracy, nothing has changed in relation to the past - in the East, the same old stories - in the West, nothing new: In absence of the development of monetary culture - financial, material and information resources are still controlled by the narrow minority of influential people who extract a maximum benefit from this at the expense of all other animate and inanimate nature. In the ambience of countless commercials and propaganda messages, vivid imagination and a lack of knowledge, where apparently only the will of the majority prevails and where everything is a question of quantity rather than quality; in society with the maneuvering space from A to Z in which in the name of consumerism dialogue is accepted only in range from A to B; spontaneously by itself has begun to emerge a desire for some different kind of freedom and happiness. The will has awoken to build the most beautiful and most attractive place in this part of space in which people proudly live and work in peace and love, produce ecologically clean energy and not destroy flora and fauna, eat healthy food and all together maintain this heritage. Money is a collective mental agreement. Our money has no precise definition and is blurred by the complicated terminology. It is really a strange situation in which community has developed the idea, disposed of labor and material, but without the intermediation of the bank, the whole project is just a dead letter on paper. It is no longer a secret that bankers create money out of nothing. Without a bricklayer, a house cannot be built - if there is space, if there are builders and there is a material, then why the problem is a lack of a simple piece of paper signed by the governor or director of the bank? Is it not just incredible that banks, which generally produce nothing except digits on paper or on computer screen, are more powerful and the wealthiest institutions of states whose hundreds of millions of voters spend most of their lives locked in some suffocating factory production department? How is possible that now when each worker produces more than ever in world history, both parents work fulltime but due to the growing difference between wages and prices, do not earn enough money for a dignified life? The fact is that the more we progress, the more isolated from each other we become. Why are we increasingly deprived of our rights, why do we sacrifice ourselves more and more, and why do we have less and less free time? Shouldn’t the opposite be happening as we continue to become more and more productively efficient? Why are we less happy than ever before? Something must be wrong! All our current problems are directly linked to the monetary system in use. Due to the structure of the monetary system, money has the greatest influence on the people's behavior - money determines our relationship with ourselves, other people, and nature that surrounds us. The money system affects our everyday lives more than the executive, judicial, and legislative decisions altogether. The fundamental source of power lies in the creation of money, not laws. There are only two possible choices in front of the money issuer: to serve or to be served. 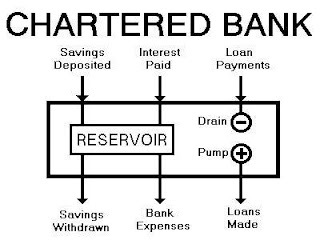 In the current global financial system, money is not created by communities but by the banks. Banks create money and lend it with interest to governments and communities in the same way they approve credit cards to the people. Under these conditions, the more we work and produce, the more we fall in debt. The mystery that inevitably imposes itself on a planetary level is: Why do We The People Of The World, through a concept in which money without any material basis is issued out of nothing, accept indebtedness to the private institution for the amount of all currency in circulation, without receiving anything in return? The development of human civilization through the gradual dispossession of the population's monetary sovereignty, at the end, has led every aspect of modern society into the absolute dependence on the money issued as the interest based debt; and as a result produced an invalid society limited by countless abnormal bureaucratic obstacles and constraints. 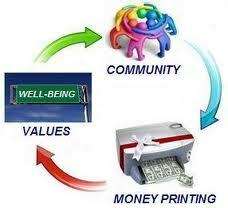 A medium of exchange is an intermediary item used as a measure of the value of goods and services on the market. Even though the money is everything that the two sides can agree to use as a medium of exchange, for some secret reason, mankind is convinced that money is only what the government or central bank specifies and controls through the laws in a monopoly regime. Money supply and collective wealth - each of us has the right to use whatever kind of money he wants.